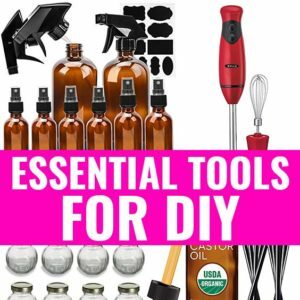 DIY Scalp Treatment for Hair Growth - beautymunsta - free natural beauty hacks and more! 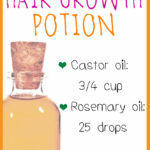 When you want your hair to grow long and luscious, you’ve got to show your scalp a lot of TLC. The scalp is where the hair follicles are found. The hair follicles produce hair strands and if they are weak and malnourished, they’ll produce only weak, thin and short hair strands. 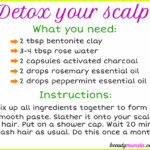 One of the ways you can show your scalp TLC is by making scalp treatments. Scalp treatments are so soothing and stimulating! They don’t just stimulate hair growth but also protect your scalp from irritants, remove product build-up and moisturize dry scalps. Today, I’m going to show you how to make a DIY scalp treatment for hair growth! 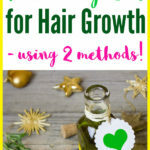 By the way, I’ve talked more about how you can nourish and strengthen your hair follicles here so check it out, if you want! First off, work with a clean scalp because you want all the nourishing oils to penetrate deep without any hindrances like dead cells/dirt. Now into a small bowl, add the coconut oil and Jamaican Black castor oil. Mix well with a spoon until creamy. Add the essential oils, drop by drop then mix again. Once everything is combined, dip into the mixture with clean fingers and start applying it on your scalp systematically. If your hair is long, first section it for easier application. After applying and your scalp is saturated, tie your hair up and cover your head with a shower cap. 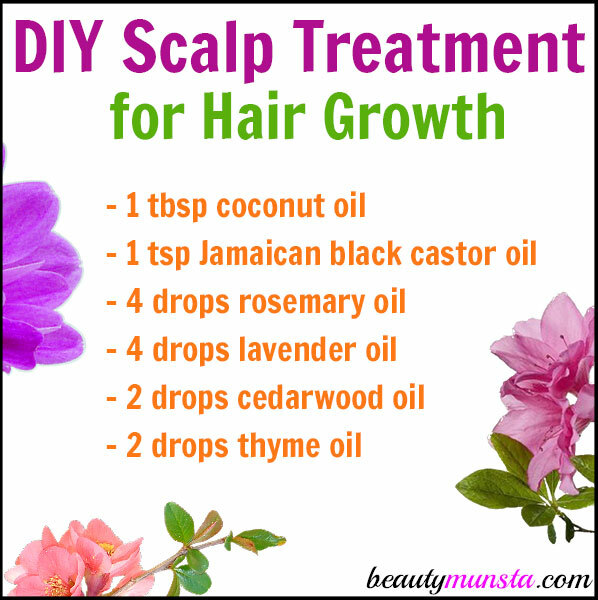 This traps heat and allows the oils to work their magic deeper into the scalp. Leave the shower cap on for 30-60 minutes. Then wash your hair as usual. Shampoo twice, if necessary to remove all the oils. If you can, try to use a natural shampoo like this one from Maple Holistics. Repeat this DIY scalp treatment for hair growth once a week. For better results, you can warm the coconut oil and JBCO (Jamaican Black Castor Oil) first so that the heated oils can penetrate deeper into your hair follicles. On top of the shower cap, you can place a warm and damp towel/cloth to make the open the hair cuticles and hair follicles so the oil can drive deep. Do a patch test with the essential oils to make sure you aren’t allergic to any of them. 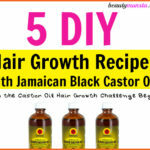 If you can’t find JBCO, then normal castor oil can be used although JBCO is the best for hair growth. 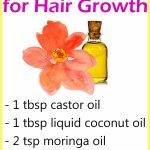 How to Use Castor Oil for Hair Growth – The Easiest Way!